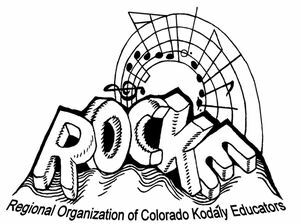 ROCKE will present three full-day professional development workshops during the school year. CDE Credit (for relicensure) is available at all workshops for no additional cost. Graduate Credit is available through Adams State University if you attend all three workshops. Below is the workshop schedule for 2019-2020. Check back over the summer for more details! *We will have one hour for lunch - please bring a sack lunch or make arrangements to eat somewhere close to the workshop location. *OAKE Members must be present with their Guest. Participants may only attend once as a Guest. ^Three-workshop package available to OAKE Members. Skip the line! Pay for workshops ahead of time by using the appropriate button below. Or, bring a check, credit card, or cash and pay in person at the door. Not a member of OAKE? Need to renew your membership? It is $85 to become a member of OAKE -- ROCKE membership is included in OAKE membership. Pre-register using the buttons below! All transactions are secured through PayPal. The Western Division of OAKE (ROCKE's Division) is also hosting the 2020 National Conference! "Focus 2020: Kodály's Vision in the 21st Century"